We hear it all the time: Technology is constantly and rapidly changing. By the time you’ve familiarized yourself with the coolest new app, gadget, or gizmo, there is a new and better one. The sheer speed with which innovations pop up and change market landscapes can be daunting for even the professional technologist. We attended this year’s South by Southwest (SXSW) wanting to know: what new technology will impact the international development sector, and how can we leverage those trends in our work. We also wanted to check out the cool, quirky, and downright bizarre things tech innovators have been developing in the past year. You never know which app might be the next global phenomenon! For 30 years, SXSW has attracted leading innovators in technology and features hundreds of new technologies, highlighting a range of emerging trends. But there are always a few that capture the imagination more than others, grab the most attention, and cause the longest lines to form (and no, we’re not talking about the one-hour wait to get a picture taken with grumpy cat). Plenty of trends in other industries were featured at SXSW, from medical sciences and health care to data privacy and security, some of which we will feature in future posts. But undoubtedly, two of the major show-stoppers were virtual reality (VR) and artificial intelligence (AI). The writing is on the wall: VR is here, and it will be big. From children’s educational programming to well…adult programming, from music entertainment to compassion creation in advocacy, the possibilities for VR applications are countless. Now if only they could make us look less ridiculous while wearing VR headsets, this tech will really take off! Big Data and AI are opening new worlds Neither Big Data nor AI are particularly new concepts, but the growth of the Big Data industry has created new possibilities for AI. Machine learning algorithms typically need to be taught, or “trained” using large amounts of data. The explosion of machine-readable data in recent years has made it possible to better train machine-learning algorithms that have existed for years. As we are increasingly connected to the internet via mobile phones and the internet of things continues to grow, we are (sometimes unknowingly) providing more data that can be used for smart applications from medical diagnoses to automated image recognition, many of which were on full display at SXSW. Some visionaries, such as Dag Kittlaus, founder of Apple’s Siri envisioned AI as a general utility while presenting his latest project at Viv Labs: The Global Brain. Many of us are unaware that AI is already embedded in many of the tools we use on a regular basis, and still think of AI within the lens of creepy humanoid robots that want to destroy the human race. But often it is the less eye-catching applications that best portray how far AI has come. With nearly perfect timing, news reached SXSW that Google’s AI project DeepMind had just defeated legendary Go player Lee Se-Dol as we sat listening to AI and Big Data Seminars. While the SXSW interactive conference showed us the marvels of modern technology and sparked our imagination for what the future may hold, there was also a less glamorous discussion taking place; one that was about how the industry is failing many of us: specifically women. In her keynote speech, titled “Disruptive Philanthropy in the Digital World,” Jacqueline Fuller, Director of Google.org (Google’s philanthropic venture) spoke at length about the challenges faced by women in the technology sector. From a declining percentage of computer science degrees awarded to women since the mid-1980s to reports of boy club culture in tech startups to harassment of female journalists reporting on technology, the lack of gender diversity means that the empowerment opportunity offered by the tech sector is concentrated amongst men, and the products and services developed by the sector are often designed with just half of the world’s population in mind. The gender divide in the tech sector is even starker in most developing countries, prompting some to highlight the issues of access to technology and inclusive education for women in developing countries. As Ann Mei Chang, Chief Technology Officer at the U.S. Agency for International Development and director of the U.S. Global Development Lab, mentions in her article on women and innovation, estimates show that the untapped potential of women in the global economy amounts to $28 trillion in global GDP between now and 2025. This is a lesson we at home can take to heart. What does this mean for Digital Development? SXSW was chock-full of great talks on and demonstrations of promising innovations that have implications for how the development industry may change in the future. From infrared cameras linked to machine-learning software that can identify wildlife crimes before they happen, to implementing an Uber model for tractor sharing in rural Nigeria, emerging technologies can help us to be more effective in our work and deliver greater impact for the bottom of the pyramid. But while we consider how technology will impact our future work, we shouldn’t lose sight of the growing digital gender divide, and though we can use technology to increase our effectiveness, that effectiveness will always be limited by the exclusivity of our technological solutions, and the education needed to develop them. 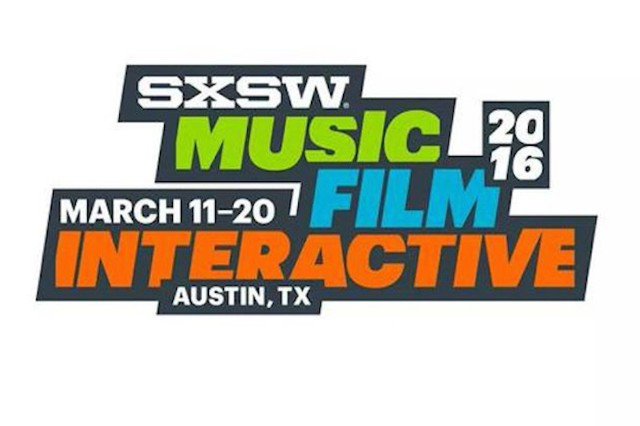 Did you attend SXSW? Do you have other takeaways? Want to know more? Let us know in the comments section or tweet to @DAIGlobal using the #DigitalDAI hashtag.